With Apport Data Analyzer, you can easily analyze your WMS data and see correlations in your logistics that have otherwise been hidden. The Business Intelligence module opens up to new opportunities for turning the logistics into a competitive advantage. kind of knowledge, that Apport’s Business Intelligence module extracts from your WMS data. Apport Data Analyzer gives you a quick access to deep knowledge and replaces hunches with facts. Your WMS is filled to the brim with data, and if you know how to join these data, you have a foundation for better decision-making. Apport Data Analyzer gives you a real-time image of how many resources, you’ve spent and how to place your resources in the warehouse in order to be done faster with the deliveries of the day. This prevents panic before closing time and enables your employees to be more efficient. With just a few clicks, you’ll see how to optimize your locations in order to organize your warehouse as streamlined as possible. Automate the management reporting and let Apport Data Analyzer send you reports on select KPI’s whenever you want. Analyze your expenses with ease, on everything from item numbers and customers to employees, giving you the ability to make better decisions. 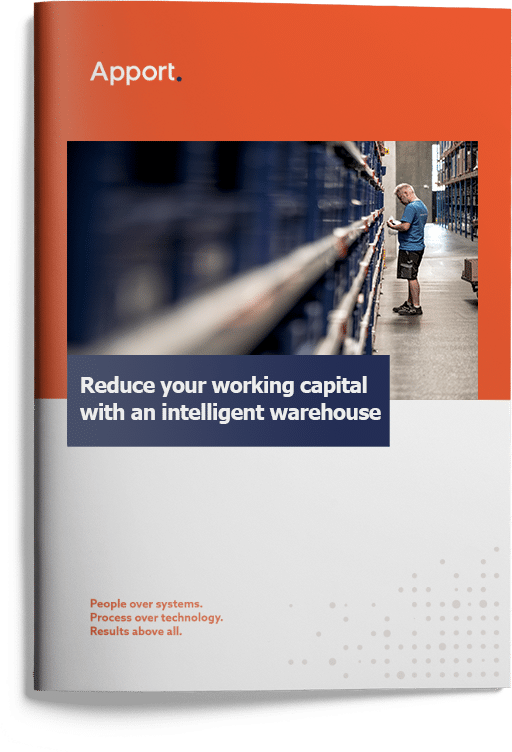 Apport Data Analyzer makes the warehouse strategic. Logistics is the battlefield of tomorrow and the battle is won with knowledge, not loose intuitions. Apport Data Analyzer opens up new possibilities for taking your warehouse- and logistics function from being just another expense, to a strategic ally, where the warehouse becomes an important competitive parameter. • A business intelligence module to Apport WMS. • Developed in cooperation with existing customers and business intelligence experts Inspari. Based on the user-friendly platform Tableau. • Access from both pc and mobile. • Make all your analyses directly in Apport Data Analyzer - no need to export data. • Available as both a cloud and on premise solution. Want to know more about Apport WMS?